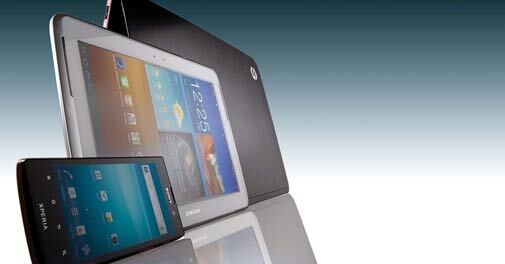 When we talk about mobile devices, the buck stops at the three strongest categories - smartphones, tablets and Ultrabooks. Gadgets & Gizmos pit its picks from the three segments against each other to see how they fare in a faceoff. Recently, it was reported that a mobile application has been developed that uses the Global Positioning System (GPS) to trace the location of other cell phones. Having trouble with your laptop? Would like to boost your cell phone's capabilities? Want advice on what camera is best for your needs? Write to Gadgets & Gizmos with all your queries. Technogym's Mywellness Key is a first-of-its-kind portable device that keeps an eye on your health and sets daily goals for you to stay fit. The Samsung Series 9 is as thin as it gets and it is not just about the size. Is Sony Xperia ion worth its price? The better of the lot among portable scanners can work independently. Others, like the HP Scanjet 1000 Mobile Scanner, need to be connected to a PC to do the job of scanning documents. Is Micromax Funbook Pro tablet a good deal? Portronics USB Juicer: Power Charge? Dictionary, calendar, bookmark holder and link checker...name the function and the chrome browser has a solution. The graphics and sound of London 2012 make it the best Olympics games ever. The sound of car alarms going off at the touch are common enough. How do these car protection systems detect intrusion?